Houdini: The Man From From Beyond is a new mass market graphic novel by Brian Haberlin, Jeff Phillips, and Gilbert Monsanto. It's relased today by Image Books. Celebrate the anniversary of the death of a legend with his greatest escape of all! On the eve of the Wall Street collapse of 1929, Harry Houdini makes the ultimate escape: He returns from the dead in the guise of a young stockbroker and partners with Sir Arthur Conan Doyle to prevent his wife Bess from being murdered. 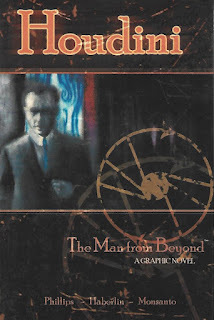 Their search calls into question Houdini's own demise and brings them into contact with such period luminaries as Aleister Crowley and Charles Lindbergh as they uncover a cult that threatens to unlock the secrets of eternity. 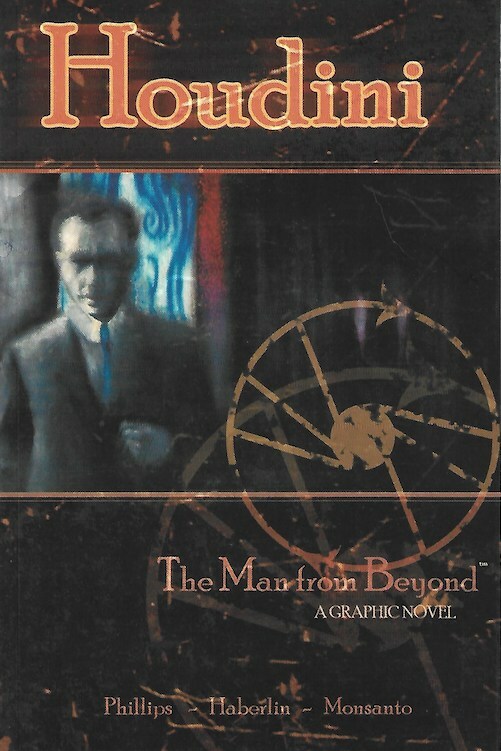 You can purchase Houdini: The Man From Beyond from Amazon.com.